Venez expérimenter des produits innovants et découvrir de nouvelles tendances ! Réalité augmentée, réalité virtuelle, robotique, imprimantes 3D, objets connectés. Au croisement des arts, des sciences et des technologies, partez à la découverte de projets d’artistes, d’universités, d’instituts de recherche et d’entreprises, renommés en France et à l’international. En complément de ce salon, des conférences en accès libre, « Les Rendez-vous de la Fabrique », vous offriront la possibilité de questionner, en compagnie d’experts, les enjeux sociaux et culturels des innovations présentées. Ce salon vous est proposé dans le cadre de la 9ème édition de la Biennale internationale des Bains numériques, placée sous le signe des arts et des sciences. Du 1er au 5 juin. The Computer Art Congress is an international gathering around art, science, technology, and design. Its first edition was celebrated in Paris (2002), then the CAC traveled to Mexico City (2008), then came back to Paris (2012), and recently was hosted in Rio de Janeiro (2014). In fourteen years, a community of artists, curators, researchers, scholars, scientists, designers, students, and professionals has contributed to the domain with artworks, papers, round tables, workshops and exhibitions, exploring questions such as “emerging forms of computer art”, “post-digital art”, and “computer art for all”. 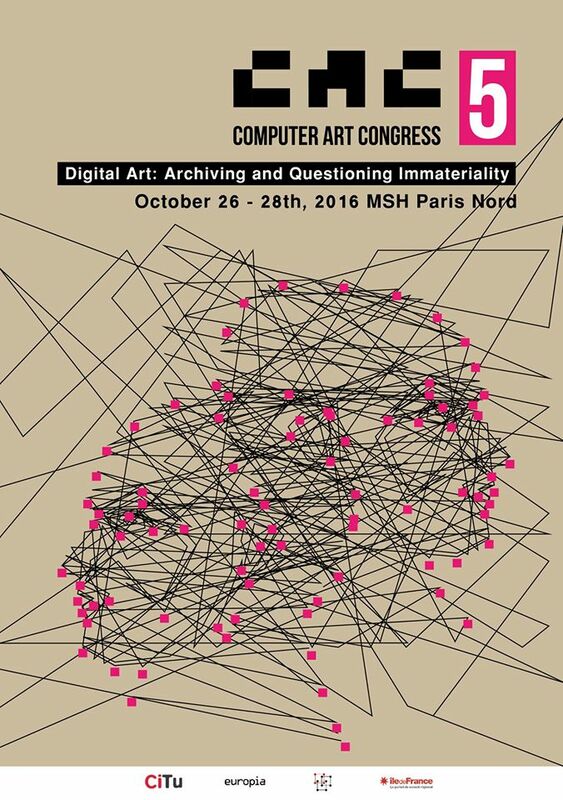 In 2016, the 5th edition of the Computer Art Congress will take place in Paris, organized by the Citu-Paragraphe research team at University Paris 8 in partnership with the University of Michigan, the University of Hong Kong, the Universidade Federal do Rio de Janeiro and the RAN (Réseaux d’Art Numérique). 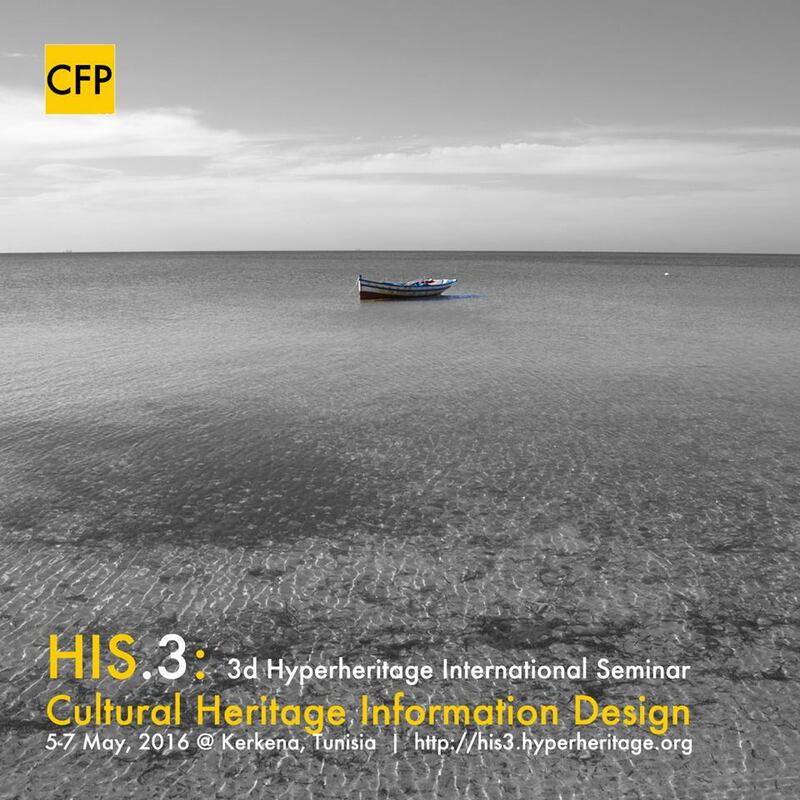 The selected topic for this edition is “archiving and questioning immateriality”. CAC.5 calls for contributions interested in reflecting on the artwork as a material object, but also invites a consideration of the complex processes that surround a work of art. In this respect, the artwork might be regarded from the potential emotional and or intellectual effects that it might trigger, whether foreseen or not in advance by the artist. Such effects could be deployed in small or large scale, from small teams to the entire world via networked technologies and distributed exhibition spaces. However, the Internet and electronic devices have proven to be less stable and long-lasting than they seem. How should one deal with artworks when we take into account their multidimensional nature (designed for and perceived in a non stop shifting universe): temporal, spatial, exploratory, communicational, collaborative? Any inquiry of archival and representation becomes a complex subject. CAC.5 believes that such entry points raise problematic issues that also demand one to interrogate the “Material” supports that give form to an artwork; the archival methods that artists, curators, collectors and institutions employ in their practice; the remix and re-cataloging appropriations that common users and audiences put in place; Furthermore, we hope these initial questions will push our discussion towards speculative visions on archiving subjectivity, creating obsolescence, and preserving/conserving meta-organic relationships (i.e. relations among technical, social, and individual organs understood as autopoietic organisms).